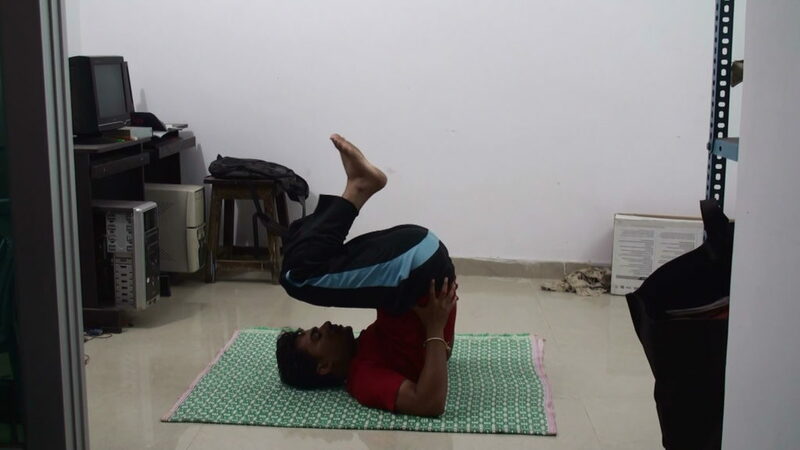 Halasana is also known as plough pose, Plough is an equipment used in agriculture for preparing soil in order to sow seeds, similarly this asana rejuvenates the inner parts of the body. In sanskrit ‘Hala’ means ‘Plough’ and ‘Asana’ means posture or pose. Put your legs in forward direction, try to adjust yourself in relaxed sitting position, then put your back on the floor and resting your whole body. 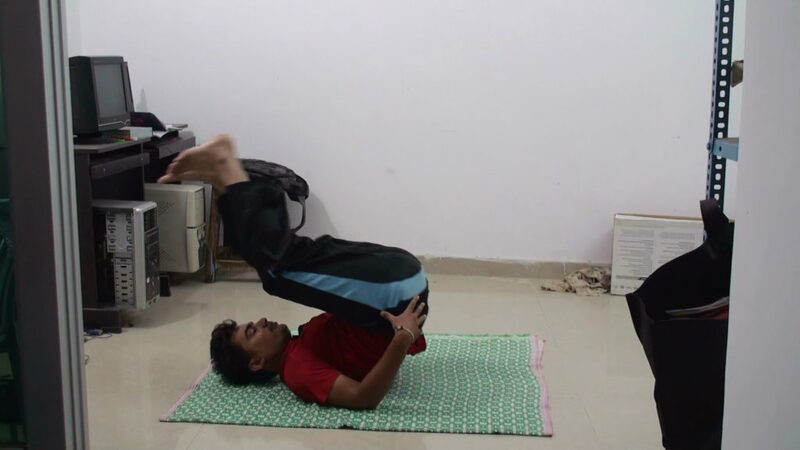 Now fold your legs and lift your legs in back direction, now try to push your back with the help of your hands (palms) by pressing, such that the heel or toe should land on the floor slowly with out bending your knees. Now try to breathe normally by closing your eyes and stay for 30 seconds, practice for 2 to 3 times so that you can achieve the target. Initially for beginners there might be a pain in your back, but by constant practice that can be removed in the flow of time. Now get back to original position by lifting your legs back again leaning towards front of your body with the help of your hands. If you are tired then you can go for shavasana for 2 minutes so that you can relax and get ready for next asana. Diabetes, Constipation, Obesity, BP and menstrual disorders can be cured. Blood flows more through the face, so the face dazzles, will look younger. 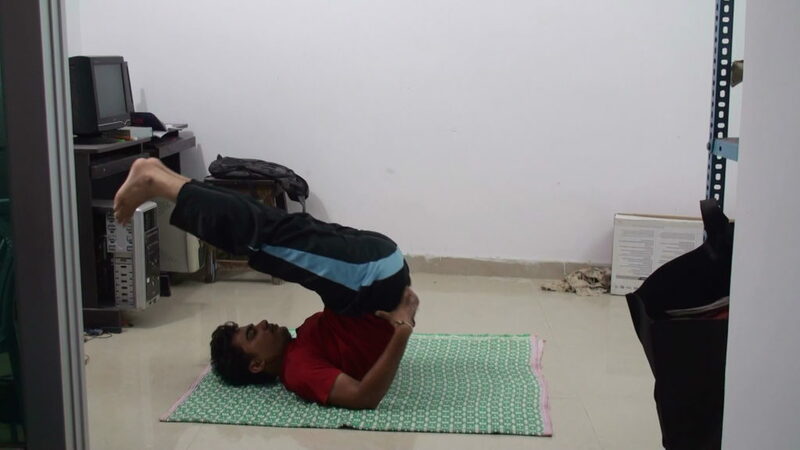 It tones or you can say it makes sure to increase the flexibility of your back bone, it also becomes stronger. Reduces belly and body fat. 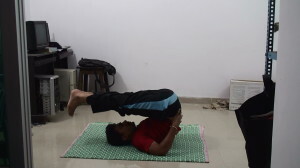 Caution: People with heart problems, slippery disc, neck pains shouldn’t do this asana.